Last month we asked you to contribute an uplifting book for Mental Health Month and the Books on Prescription program. You can see some of the responses here and here. The final list of 252 books has been released by the Australian Library and Information Association. These are the authors whose books appear again and again on the shortlist. You might like to revisit an old favourite! Check TAFEcat for copies at your campus library. Re-reading this series is like meeting a friend for coffee that I haven’t seen in a year, nothing has changed and we’re still super close, but we don’t see each other enough. So I smile, enjoy every second, and make the most of the time we have together. 1. Introduction to Horse Biology. Blackwell Publishing, 2005. 2. Australian Freshwater Ecology : Processes and Management. 2nd ed. Wiley-Blackwell, 2014. 3. Interventions for Addiction : Comprehensive Addictive Behaviors and Disorders. Elsevier, 2013. 4. Construction Law. Routledge, 2011. 5. Homeless People. Spinney Press, 2013. 6. Law for Nurses and Midwives. 7th ed. Churchill Livingstone, 2013. 7. Marijuana and Health. Spinney Press, 2016. 8. 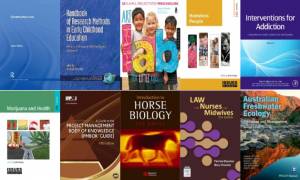 Handbook of Research Methods in Early Childhood Education. Information Age Publishing, 2015. 9. Art Lab for Little Kids : 52 Playful Projects for Preschoolers! Quarry Books, 2013. 10. A Guide to the Project Management Body of Knowledge (PMBOK guide), fifth edition. Project Management Institute, 2013. 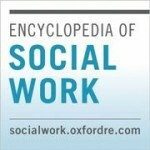 We are currently trialing several online databases and collections from Oxford University Press. The Oxford Reference databases and Oxford Dictionaries will be of interest for all courses, we are also trialing specialist collections for nursing, social work, business management and music. Try it out now! Login to your selected database on the trials webpage http://huntertafe.libguides.com/database_trials with your TAFE username and password, and contact Library Staff if you need assistance. Your feedback is important to us! Try out these new databases and fill in the Database Trial Evaluation Form to let us know what you think.